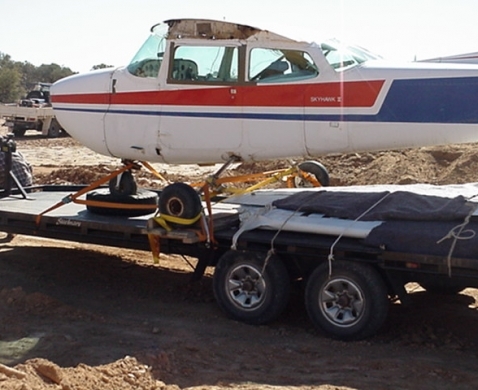 VH-SXH after a landing incident at Ethabuka Station in the Simpson Desert. 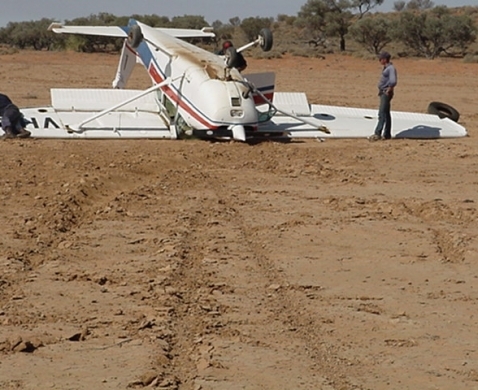 Peter & Lloyd Campbell recovering VH-SXH at Ethabuka Station after the landing incident. VH-SXH after all the repairs and painting. 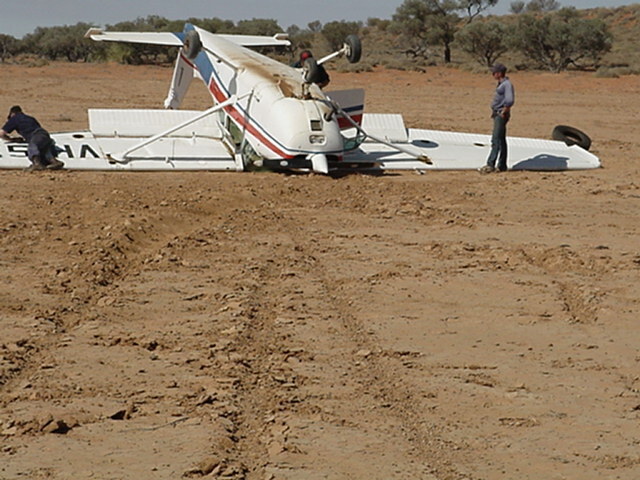 VH-NCC after a landing incident at Boulia. 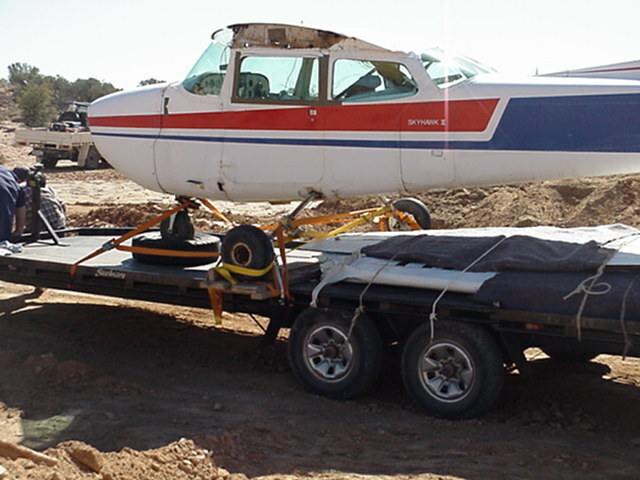 VH-NCC on tilt tray truck being transported back to Mount Isa for repair. Temporary repairs to VH-ASJ after it had a landing incident where it went through two irrigation ditches, mowed down trees and ended up going through a fence at a mining property. 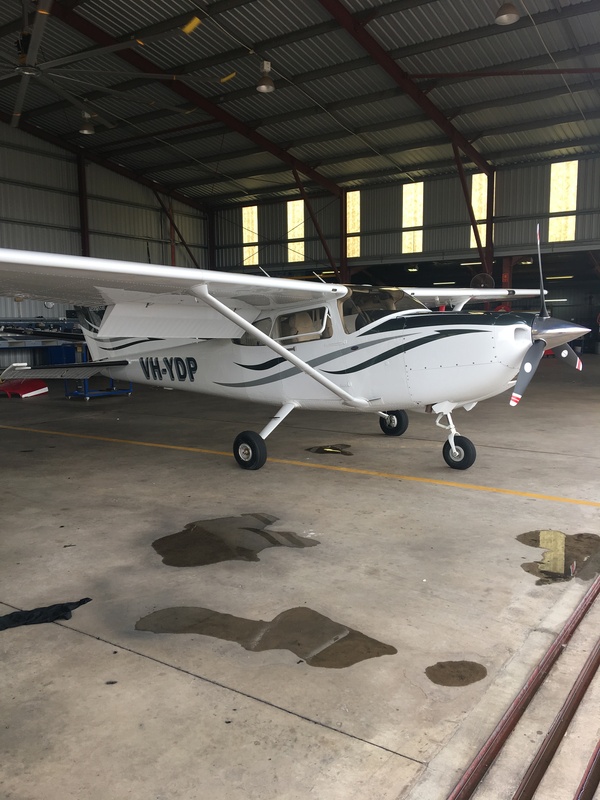 Peter in the photo after temporary repairs to VH-ASJ for the ferry flight back to Mount Isa. Working on VH-FDG after a Roo Strike November 2012. 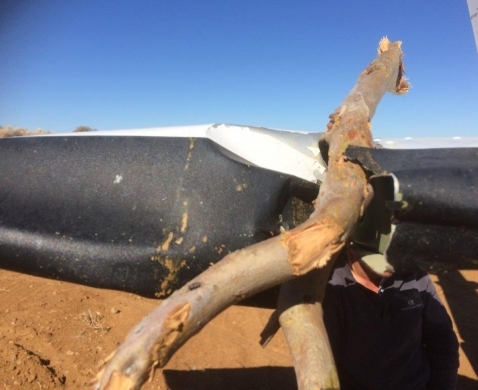 VH-FDG Propeller removed after a Roo Strike. VH-FDG Engine Power Section being removed after a Roo Strike. 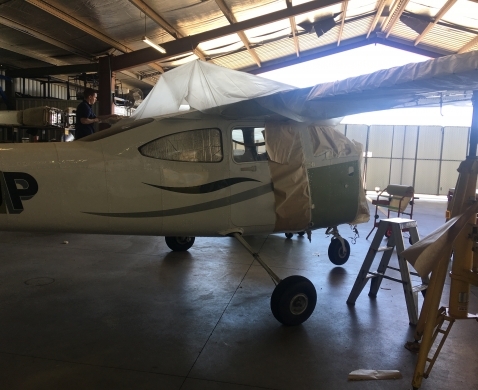 Beechcraft Baron VH-LSB in for repair after hitting a pelican. Beechcraft Baron VH-LSB repair completed. 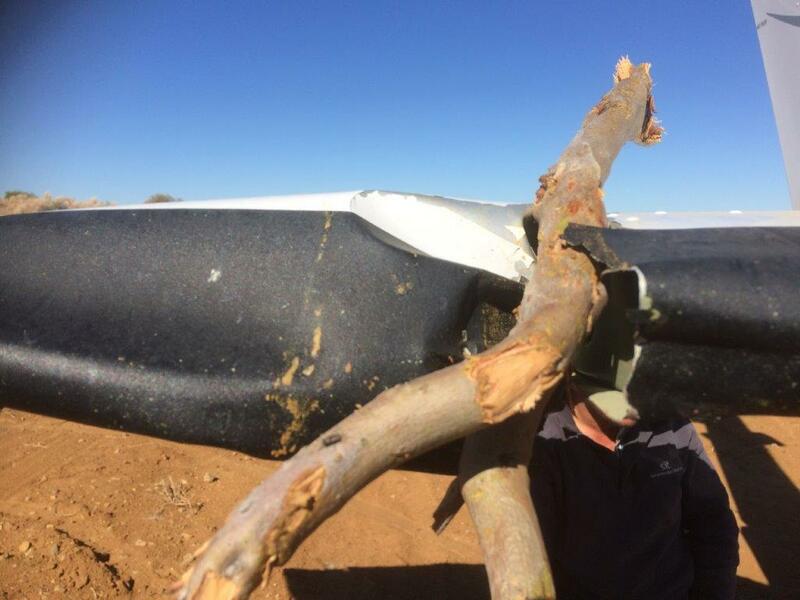 VH-YDP damage after flying through trees while mustering. 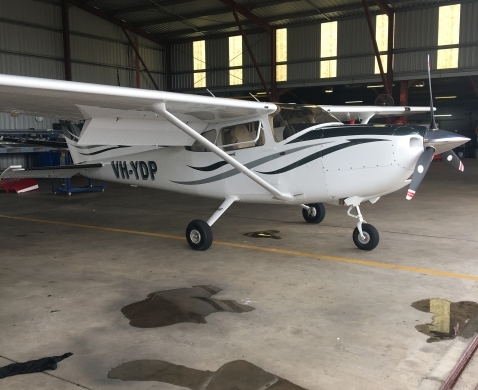 VH-YDP in for repair after being recovered. VH-YDP being prepared for painting. 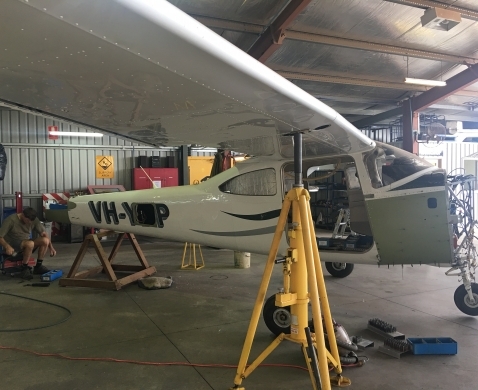 VH-YDP Engine & Propeller being reinstalled after overhaul. VH-YDP after all the repairs and painting. VH-ICC Piper Cherokee 6 after a propeller strike at Epenarra Station. 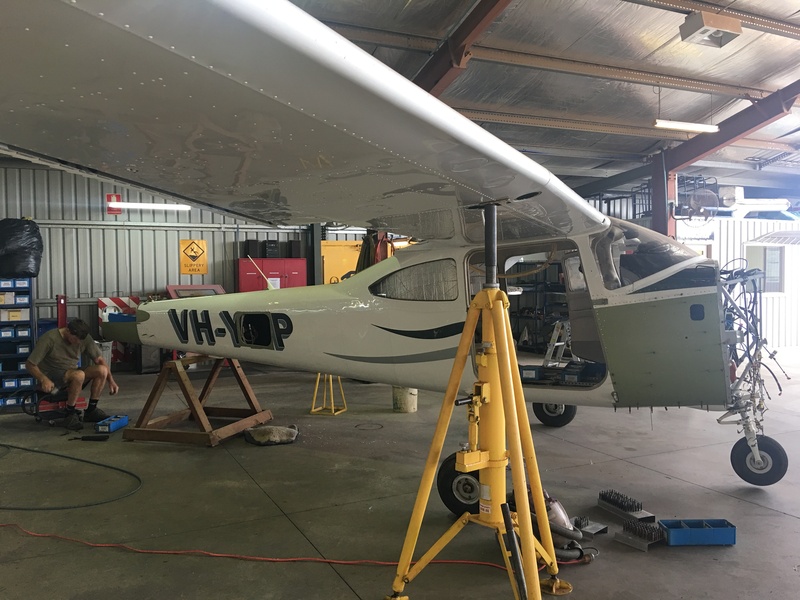 VH-ICC engine to be reinstalled after repair in the back of VH-FVW Cessna 206. 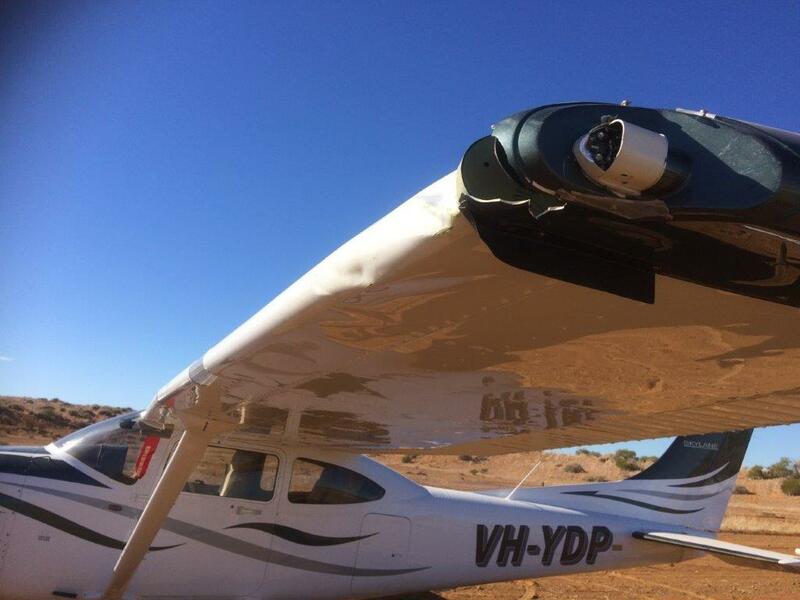 Piper Aerostar 601P VH-TLL after a hard landing and nose gear collapse at Cloncurry. 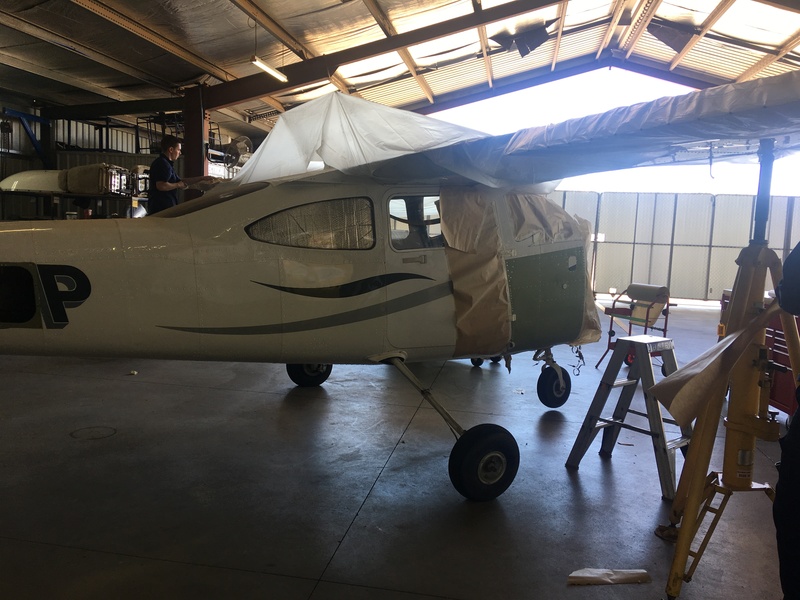 Piper Aerostar 601P VH-TLL in for repair after the nose gear collapse.